Research Council UK have recently published high level data on grant and fellowship applications, awards and success rates by gender, age and ethnicity. All data was generated over the last three financial years 2011-12, 2012-13 and 2013-14 and reported as both numbers and as percentages. ◦Science & Technology Facilities Council (STFC). ‘On Your Feet Britain says sitting for long periods at work is linked to a host of health problems, which are not undone by working out in the gym. 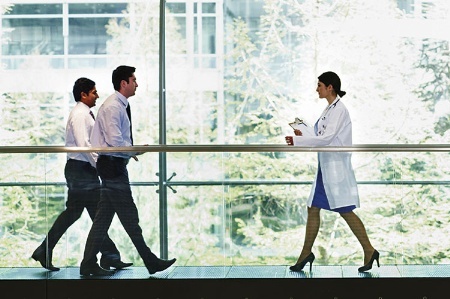 It is calling on people to stand regularly, walk around more and embrace ideas such as standing meetings or standing desks. 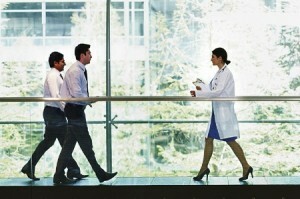 Experts described inactivity as “one of the biggest” challenges in health. Heart disease, type 2 diabetes, cancers and poor mental health have all been linked to sedentary behaviour. ‘Lisa Young, project manager for the BHF’s Health at Work programme, said: “We’re all guilty of being too glued to our screens sometimes, but these results show just how far the couch potato culture has infiltrated the workplace. 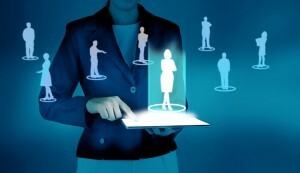 “Too many of us are tied to our desks at work, which could be increasing our risk of developing cardiovascular disease. 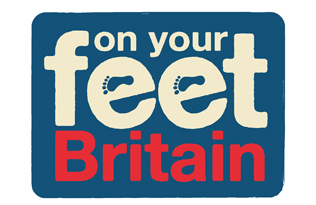 Both the Get Britain Standing website – http://www.getbritainstanding.org/ and British Heart Foundation websites https://www.bhf.org.uk/ have ore ideas and helpful advice. Fieldtrips aren’t always just about fieldwork- sometimes how you get by during an extended trip is just as important as the fieldwork itself. This was particularly true of a two-week PhD trip that myself, Christine Bunting and Phil Stastney embarked on to Annaghbeg Bog, formerly ear-marked for commercial peat production but now a designated Natural Heritage Area. 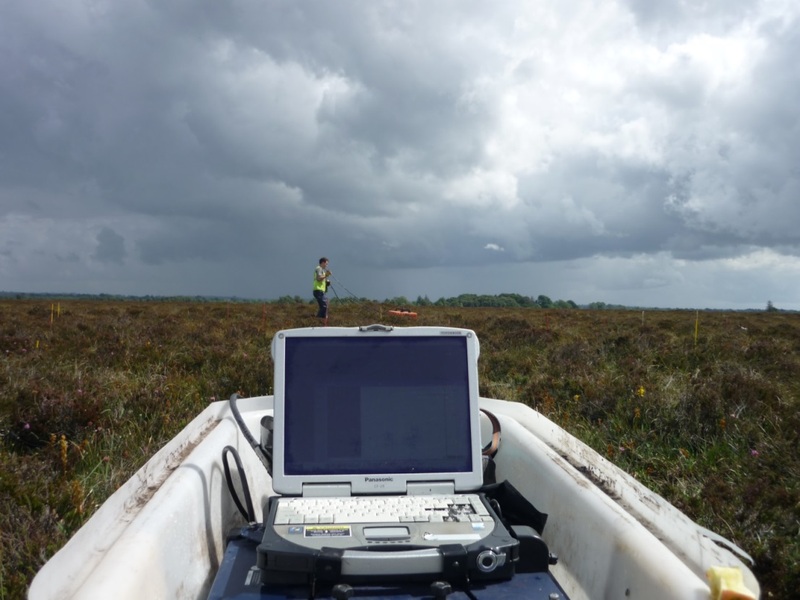 We had been granted permission to collect cores and surface samples for analysis (Phil and Dan) and carry out a GPR survey (Christine)- a rare opportunity to study what is now a dwindling supply of intact raised peatlands. After a twelve hour drive, across England, Wales and Ireland (and a ferry trip across the Irish Sea), we found ourselves in the heart of Ireland: the Co. Galway town of Athlone. Not far from the bog, it was an ideal location for our two-week stay: located on either side of the River Shannon, complete with a Medieval castle, pubs and a modest supply of restaurants. We had booked (on the recommendation of some local archaeologists) a couple of rooms at a pub in the centre of town: cheap and cheerful, and with a plentiful supply of evening refreshments- what more could we need? What better way to summarise the trip than from the perspective of three enthusiastic PhD researchers? I have never experienced rain like that in Ireland- when it really comes down, everyone driving along the M4 simply pulls over until it passes by, but when sat on the middle of a bog there is no escape. Weather proofs are essential, and even the best don’t always cover it. However, there are perks to being stuck on a bog in the rain. For one it is a good excuse to down tools and take a well-earned break- but the real highlight is the colour. The relatively dull grey brown Annaghbeg Bog suddenly began to glow with pinks and purples from the Calluna vulgaris and Ericaceae. 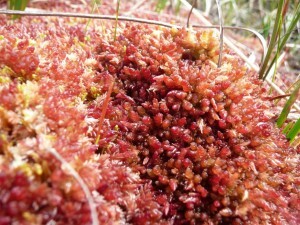 I am, of course, talking about an unmilled bog – in contrast, the milled ones remain brown. There is also more wildlife on a raised bog than I had anticipated; the group of hare stalking me as I collected samples seemed genuinely intrigued by what I was doing. A riot of colour on what from afar looks a murky-brown. 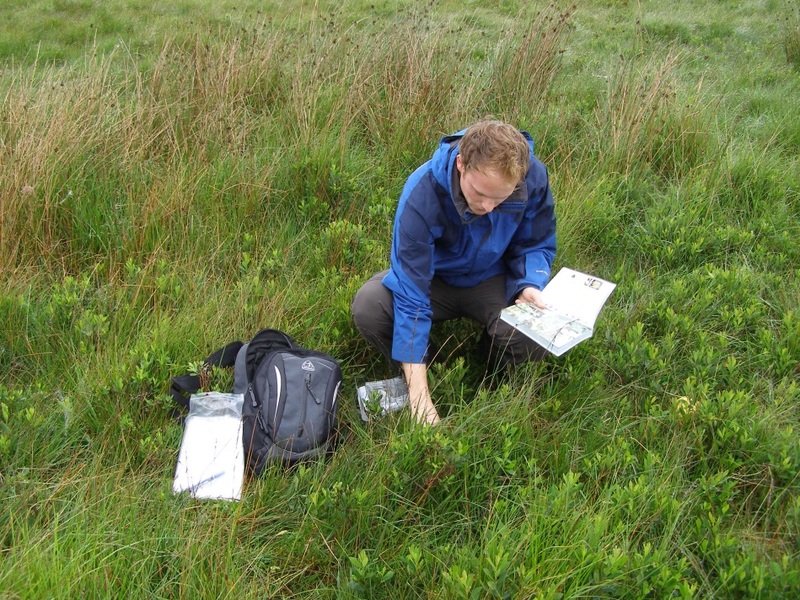 There are challenges to all fieldwork, but particularly in such a wet environment such as the length of time it takes to walk from one sampling point to another. 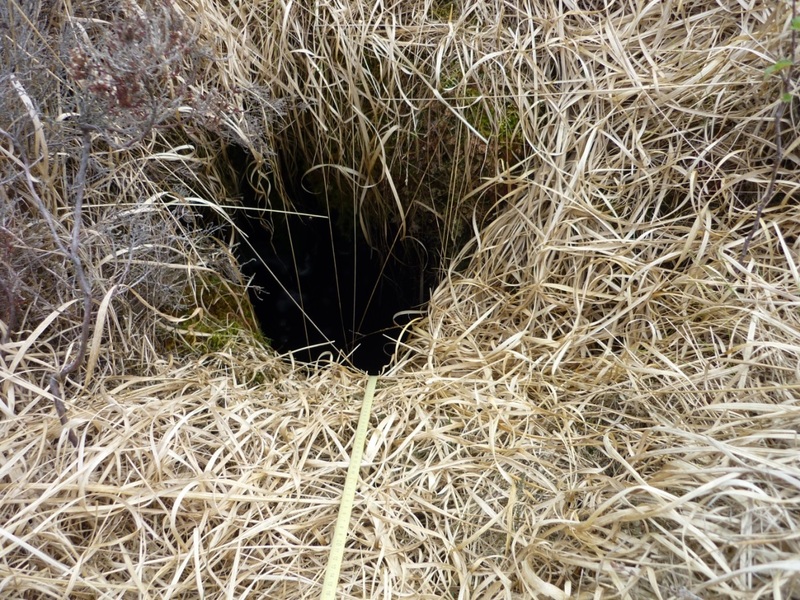 When carrying heavy equipment I was very conscious that the 7m or so of sediment below me was over 90% water- especially when I came across a swallow hole with running water at the base. For the first part of the fieldwork I was often alone on one part of the bog collecting water samples, later in the week Phil helped me collect GPR data while Dan collected samples. 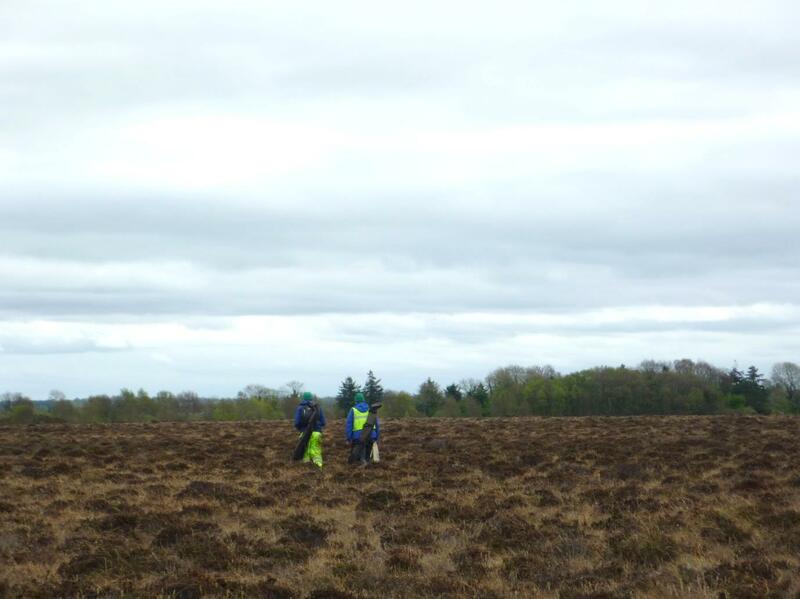 The work was hard going most of the time but working as a team we collected some useful sets of data (survey, GPR, geochemistry, water table, and core samples) which allowed us a much greater understanding of the bog. Striding forth into the wild for science! You can sense the great depths of time under foot. This is what fieldwork is all about. You can learn about yourself too. On fieldwork you can find yourself. I have found myself! I am waist deep in freezing bog water. I was probably thinking deeply about my research when I strode forth onto a floating mat of moss (Sphagnum sp.). The first leg sank straight down to my knee. I shifted my weight onto the other leg, which made it worse. One hand is now grasping at some heather to steady myself. In my other hand is a bread knife which I really don’t want to lose. A right pickle. A Swallow Hole on Annaghbeg Bog. Do not fall in one of these! I’ve never been light on my feet, and I’ve never been more aware of it than now. No one saw my mishap except a skinny Irish hare (Lepus timidus hibernicus) that zooms across the bog. Soon I’ll go back to check in with Christine and Dan and they’ll laugh – it’s happened to us all. We’ve all suffered “inundations” (when you get water in your wellies), but it’s OK – we have plenty of socks. I think about losing a few pounds as I squirm belly-first out of the hollow. I just love chips, cheese, beer, and Club Orange (Ireland’s answer to Fanta) too much. And thank goodness there are plenty of all these good things in rural Ireland. Phil having a well-earned break (Club Orange just out of shot). 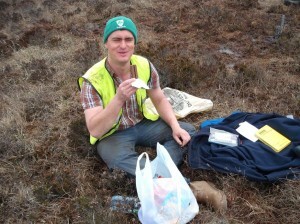 Lots of calories are required when working on a peat bog. Our big two week fieldtrip to Ireland was hard work but rewarding, often peaceful but sometimes lonely. I couldn’t have put up with it without those packed lunches sat on a hummock with Christine and Dan, or those evenings in the empty pubs drying our socks by the fire, worrying about losing wellies in the bog and joking about our theses (and vice versa). I can laugh about it all now. The breadknife which I didn’t want to lose in the bog pool was used to cut small samples of surface moss. Back in Reading I analysed the testate amoebae in those samples to create a transfer function to reconstruct past changes in bog surface wetness over the last 5,000 years or so. All’s well that ends well. I’ve finished my thesis, and now I look back fondly on those little moments of crisis out on the bog. It is with surprising fondness that I look back on my week in Galway (unfortunately, other commitments meant that I had to leave Phil and Christine to it in the second week). I think they have probably deliberately failed to mention this, but with all good fieldtrips comes a good team name- in our case, Team Ireland. 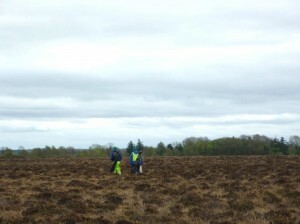 High vis is a good idea on a peat bog- if your colleagues stand still for long enough, you can use them for orientation when aligning borehole transects. And you’re less likely to miss an “inundation”. And so it was that Team Ireland strode out across Annaghbeg Bog, full of expectation and excitement with what we would all achieve from the fieldwork ahead- a new, intact peatland just waiting to be cored, mapped and analysed. And so it was that three seconds later someone’s wellies were filled by the first of many “inundations”. 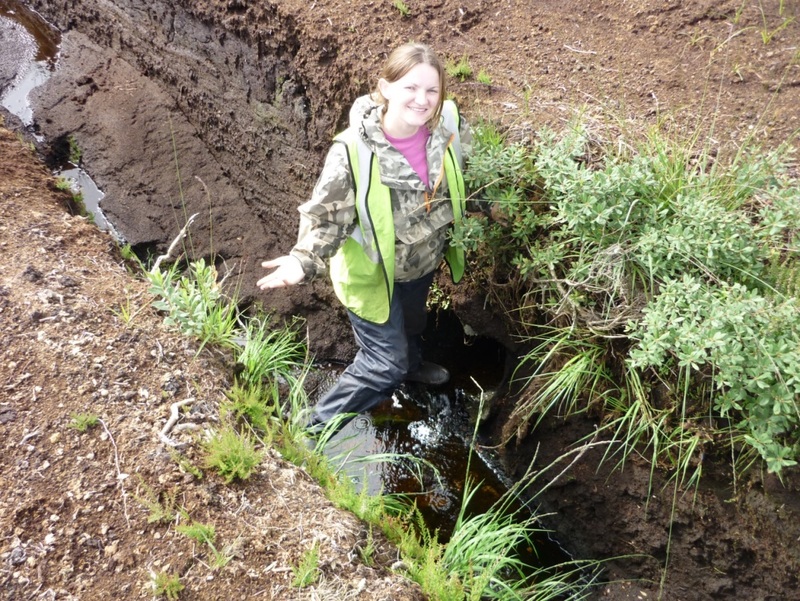 Walking on a peat bog is no easy task, for two reasons: 1) orientation- thanks to the domed shape of the bog, it is incredibly hard to get a fixed point on the horizon- pacing out a grid of samples for Christine became quite comical (sorry about that Christine! ), 2) distances seem to be multiplied by a factor of ten, thanks to the fact that the walking is up and down through wet pools and over shrubby hummocks, always mindful that inevitably, one of you will be up to your hips in water any minute now. 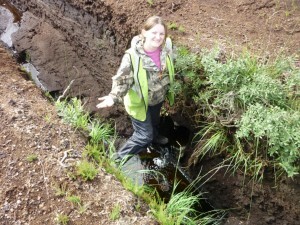 For this reason, my main piece of advice to any working on a raised bog is: wear your waterproof trousers on the outside of your wellies, not inside- try it, it keeps your feet (relatively) dry! Phil helping collect GPR data on Annaghbeg Bog. From these individual GPR transects a 3D data cube was created which allowed timeslices (plan view) to be created clearly showing the pool-hummock micro topography of the bog. Each time we saw rain coming in we had stop work and make sure all the equipment was undercover. Note the impending storm! 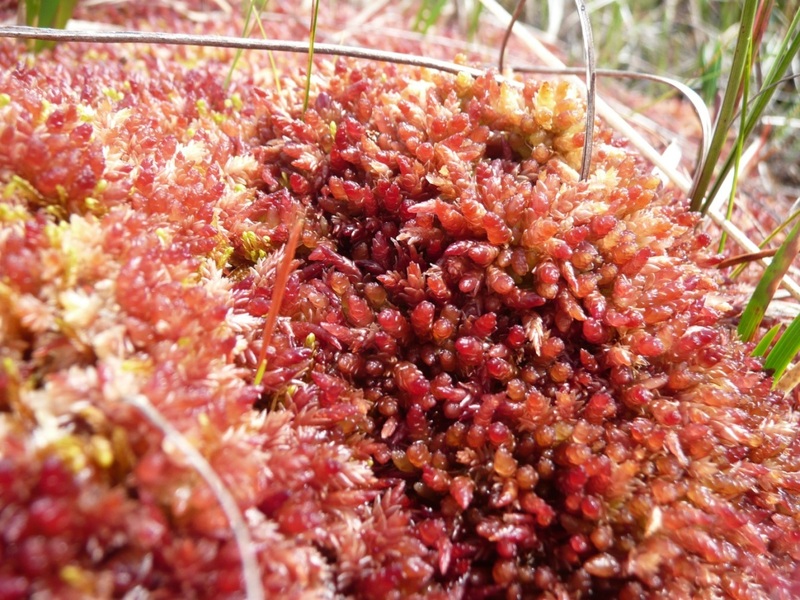 But it’s all worth it- the closer you look at a raised bog, the more beautiful it becomes- as Christine said, the colours of the array of mosses, sedges and shrubs seem to spring to life right before your eyes . And now that the samples are back in the laboratory, analysed and radiocarbon dated, a few damp days on a bog are a small price to pay. Dan is five years in to a part-time PhD examining the relationships between climate change, peatland hydrology and past societies in Ireland. 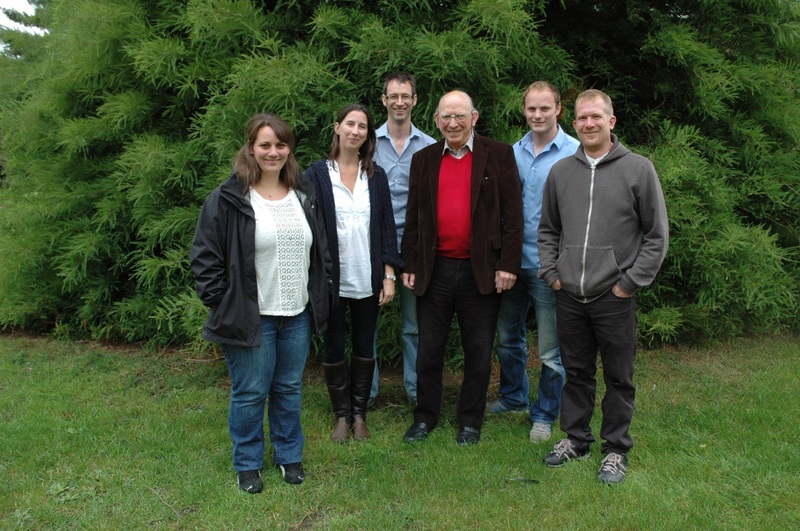 By analysis of plant macrofossils preserved within peatland sequences, he has developed radiocarbon dated hydrological records for the past ca. 5000 years which can be examined in the context of the Irish archaeological record, and the forcing factors behind climate change. 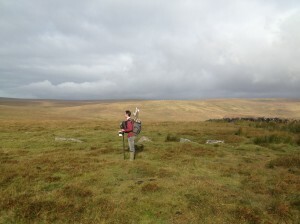 Christine’s research focuses on the prospection for archaeological structures and palaeolandscapes in the wetlands of North West Europe using geophysical and geochemical techniques. By combining these techniques with geoarchaeological analysis of the sediment retrieved from boreholes, better management of this resource can be achieved. Phil has just completed his PhD. 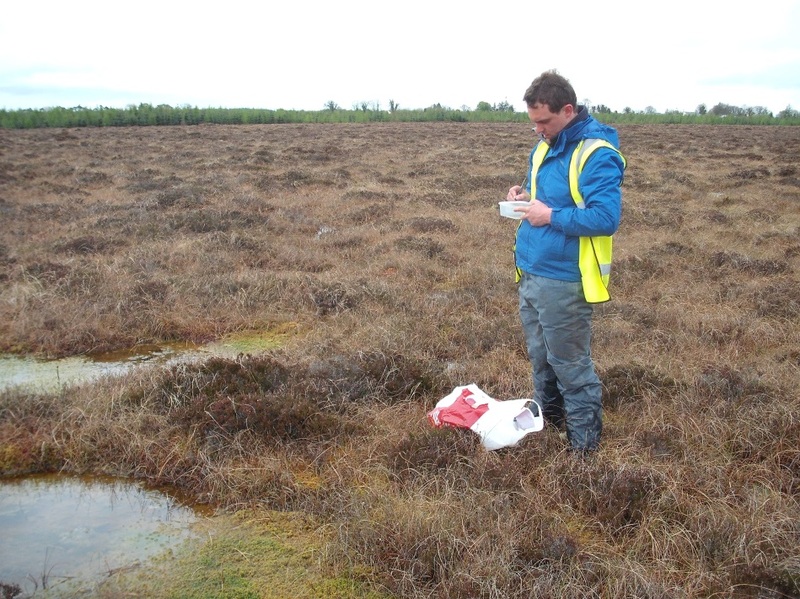 His research focused on examining relationships between past environmental change and human activity in Irish wetlands by comparing testate amoebae-derived palaeoenvironmental records with 14C and dendro-dated archaeology. Much of the fieldwork that the Quaternary Scientific (QUEST) team conducts is driven and funded by construction and development, often as a requirement of regional planning policy. Inevitably, that means we get a lot of work in London- but we are pleased to have worked on sites elsewhere, including Yorkshire, Northamptonshire, Devon, Suffolk, Somerset, Oxfordshire, Staffordshire and further afield in Jersey, Ireland and France. The type of sites we work on are highly varied- from urban demolition sites to rural Sites of Special Scientific Interest (SSSIs), and we often visit archaeological sites ranging in age from Palaeolithic through to post-medieval. 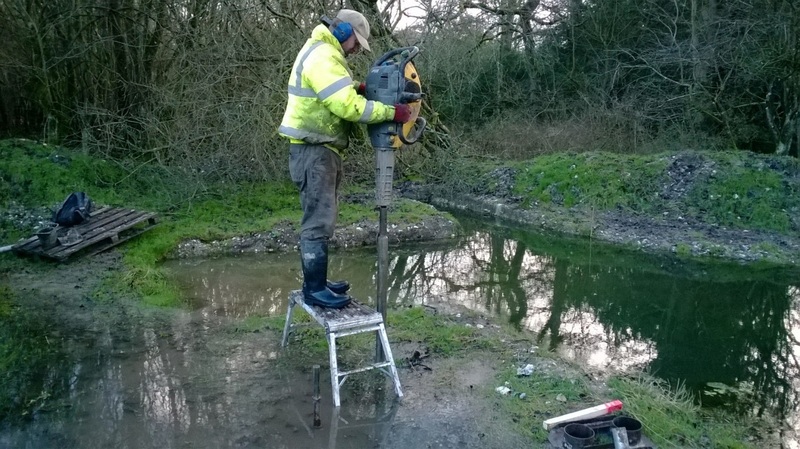 The type of work we do is also varied, and can involve putting down our own boreholes (using petrol-driven power or hand augers), monitoring site investigations (boreholes and test pits), describing sections in trenches, and taking column and bulk samples from archaeological sites. In light of all the fieldwork we do, it wasn’t long before we were reminiscing about all the examples of fieldwork – good and bad – that we could share, some stretching back more than ten years, yet etched in our minds for eternity! 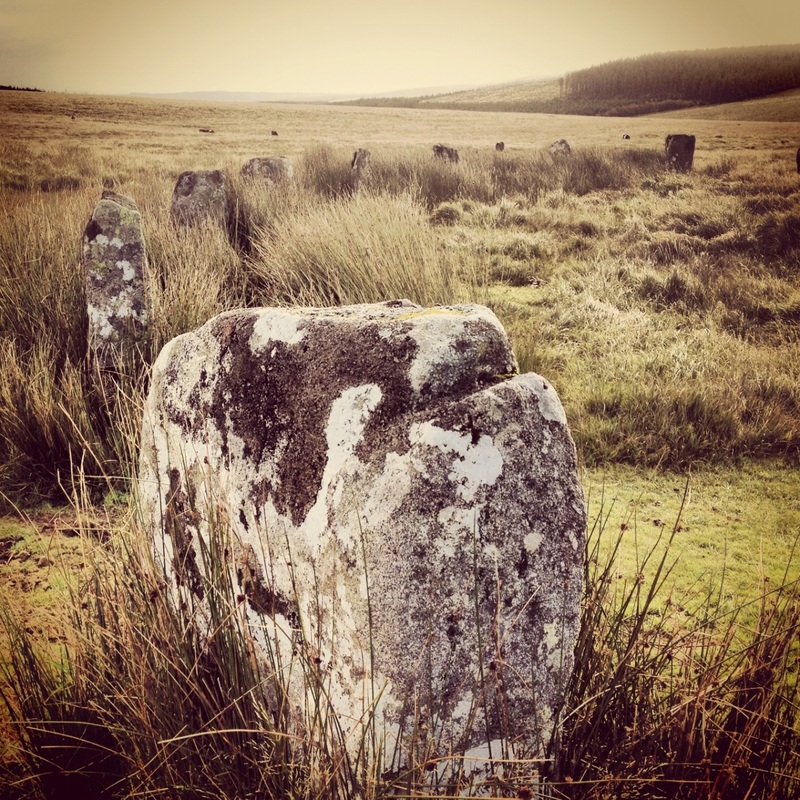 One particular week seemed to sum up the variety, challenges and joys of Quest fieldwork very well- five days of fieldwork in Dartmoor and London. A project in collaboration with the Dartmoor National Park Authority saw us head to Dartmoor for three days of summer fieldwork, equipped with hand corers, sticks and all the enthusiasm that comes with working in a National Park. Setting off at 5am on a Monday morning, we arrived (albeit after getting lost a few times in the Park) keen to get started- our first challenge was to find the site where our boreholes were to be put down. This was no easy task, and as it turned out, was at least an hour’s walk over tors and through (and at times, in!) boggy streams. 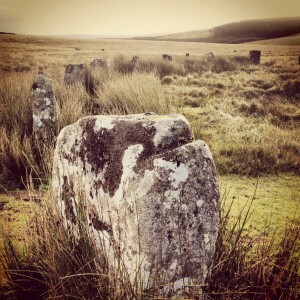 When we got there though, it was worth it- the rolling hills of the moors provided a stunning backdrop to our work. After three days of successful borehole survey and collecting samples, although physically drained, we were refreshed from the countryside air and a few days out of the office. The feeling of enlightenment lasted until the long walk back to the car park on the final day- working late to complete the work, we both became exceptionally hungry (thoughts turned from the beautiful scenery to the Burger King at Exeter Services). We persevered though, and made it to the car by around 7pm. Just as we started to take off our wellies, the phone rang- it was the Park Authority conservation officer we were working with- probably calling to congratulate us on a job well done! ‘Hi chaps, I just wondered if you knew you had forgotten to collect the twigs you used to mark your borehole locations?’. We set off back to collect the twigs, leaving the dream of Burger King behind. The sites we visit aren’t always things of beauty- as you can probably imagine, in the heart of East London (especially on a rainy day) they can be quite the opposite! 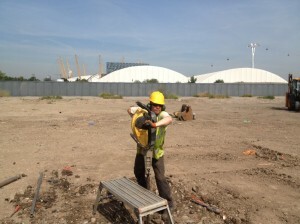 Commissioned to work on a site not far from the Millennium Dome, as part of the impressive redevelopment projects there, we headed to Greenwich Peninsula early one morning after our return from Dartmoor. This morning was no exception- traffic on the M4 – terrible. Traffic on the M25 – terrible. Traffic on the A2 – terrible. And the weather? Terrible. We arrived on time for an early start though- apparently too early for the construction workers on site, who (despite assurances otherwise) had no idea who we were or what we did. Certain demolition sites we work on are described as ‘open access’- usually meaning that they are empty, and can be accessed provided the correct PPE and risk assessments are complete. In this respect, they aren’t really all that different to working out in the middle of nowhere- the lack of facilities and reliance on self-sufficiency remains the same! As it turned out though, this site was anything but accessible- after much deliberation and polite frustration we managed to acquire the correct key to open the correct gate on the correct site. From this point onwards, the fieldwork was a success- within sight of the Dome and the new high-rise blocks springing up (the Peninsula is rapidly changing from the industrial wasteland it once was), the boreholes were collected within a couple of days using our power auger. The samples were returned with us to the laboratory for further analysis, us and our client happy with a job well done. 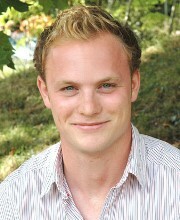 Dan Young is Projects Manager for Archaeological Science at Quaternary Scientific (Quest). Quest is the largest enterprise unit offering technical services within the University of Reading. It provides an expert archaeological and environmental science service to archaeological companies, environmental consultancies, government organisations and university researchers. 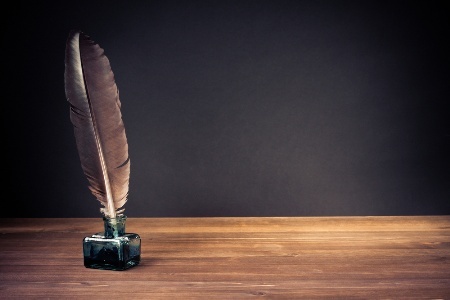 In addition, Quest provides ‘added value’ to SAGES in the form of teaching, technical support and publications. Since 1996, the business has expanded to include a network of specialist and technical staff (internal and external to the University) that service all aspects of contract and research work. Join other researchers for a live online #vitaehangout on 26 March (Thursday) between 2-3pm UK time to discuss equality and diversity in research, share knowledge about the initiatives in place and ask our panel of experts about the issues that affect researchers in higher education. Many people don’t realise how making small adjustments to their everyday life can make a real difference and help them feel more able to tackle those overwhelming projects. With this in mind, the next talk in the Life Tools programme (the last one this term) is particularly designed to help students make those changes to help them ‘feel good again’. 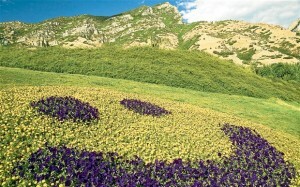 ‘The Feel Good factor’ is on Thursday 19th March at 1.00pm in Carrington building, room 101. At this talk, students will be able to learn how ‘Mindfulness’ can make a difference in daily life, no matter how busy they are. As part of the talk students will also be encouraged to take the ‘Wellbeing M.O.T.’ to see if there are areas they can work on to feel good. This talk is one of The Life Tools series run by Student Wellbeing and is a part of the Step training programme, also counting toward the RED award. There is no need to book a place – it is open to all students and they should just turn up on the day. Last time I covered the basic rules for surviving fieldwork in the cold. This time I will talk specifically about the layers that make up a versatile cold weather clothing system. No cotton, remember that? Polypropylene (e.g. Helly Hansen ‘Lifa’) or merino wool (e.g. Icebreaker) base layers are ideal. You want it close fitting so that it wicks moisture (sweat) away from your skin. A long sleeve top and long-johns (aka ‘thermal legs’) are ideal and form your first line of defence against the cold. A lightweight fleece jumper is ideal, with a good deep neck zip for ventilation. A serious woollen jumper (like a Shetland or an Icelandic) is a good alternative, but will be more expensive. Fleece is hard-wearing, breathable and cheap. It can also keep you warm even when it is damp. What it is not, however, is windproof (usually, there are fleeces with a membrane which are). In extremely cold conditions I add a fleece vest (sleeveless jacket) over the jumper, so in effect, I have two mid-layers. Over your mid-layer, especially in areas exposed to the wind, a windproof but breathable layer is needed (don’t confuse this with a waterproof layer). Ideally this will take the form of a zip-fronted jacket (which is easy to ventilate) with a hood and pockets (for storing, hats, gloves etc). A windproof provides vital protection from the wind (which standard fleece jackets do not), and importantly breathes. A so-called ‘soft shell’ jacket is ideal here (using a breathable but windproof fabric like ‘Polartec Windbloc’). 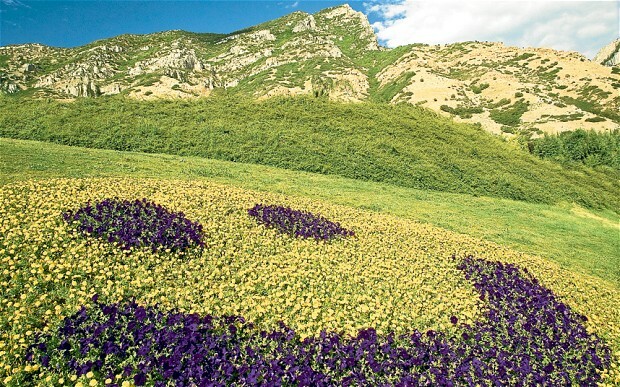 These are particularly good because they can also shrug off light showers. In sub-zero conditions they can also act as an outer shell, since they can shrug off snow even better. The term ‘soft shell’ it was coined by the clothing company Patagonia, although the concept was not new. The best have a hood because if it rains and you don’t have a hood you’ll just reach for your waterproof jacket. 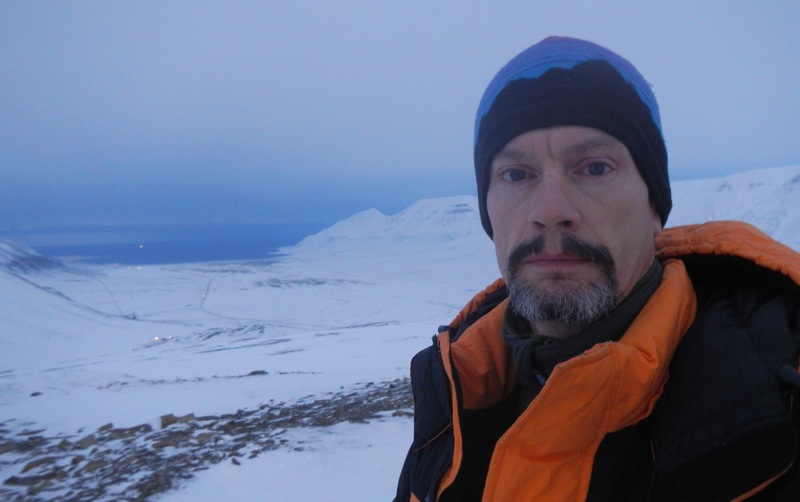 In warmer conditions, or when I am working hard, I wear a soft shell jacket straight over my base-layer. If I stop working (e.g. stop carrying that survey kit up the hill), I add a mid-layer underneath the jacket. This means that you always have an accessible full font zip for ventilation and a hood if it gets colder or a light shower comes on. In very cold conditions fleece salopettes (‘bib and brace’ style trousers) which eliminate that gap in clothing that can occur at the waist, are perfect, as are insulated ‘ski pants’. If it is not so cold, then a pair of soft shell trousers (or just any non-cotton walking trousers) over your thermal legs may be adequate. A jacket with hood and a pair of trousers (over-trousers) made of a waterproof, but breathable fabric (see discussion below). If you get wet, you will get cold. Most hypothermia fatalities in the mountains have wet clothing (they are also exhausted and have run out of food). You should not wear your waterproof unless it is raining, however. The reason is that, whatever the manufacturer claims about breathability, you will build up moisture inside the garment, especially if you exercise, and this will reduce the insulation properties of the garments beneath. You will end up cold and clammy. If you add a waterproof layer (because it has just started chucking it down), but keep up the same level of exercise, you will quickly overheat, sweat, become damp and ultimately get cold. So always strip off a layer before you don a hard shell, unless you are stopping for a break. If you don’t understand what the deal is with waterproof/breathable fabrics, here is a brief primer. As with a lot of products, it was a discovery, not an invention. An engineer was experimenting with PTFE (better known by the trade name ‘Teflon’ – the non-stick pan stuff) and realised that expanded PTFE (ePTFE) was an extremely thin membrane full of microscopic holes of a size that were too small to allow liquid water through, but big enough to allow water vapour out. It was delicate, so it had to be sandwiched between an outer (face) fabric and an inner (liner) fabric to creating a three-layer waterproof/breathable cloth. First generation Gore-Tex was very expensive and the membrane got clogged resulting in a loss of breathability and (in some jackets at least) a rather special smell. Modern Gore-Tex is really excellent, but there are alternatives (e.g. eVent, H2No, Neoshell, Omnidry, NanoPro and more) some of which may suit you/your fieldwork activities better, but that topic is a whole other blog. If it is very cold, put a serious insulating layer over your double mid-layer (or even over a softshell jacket). The most popular are down-filled ‘duvet’ jackets (e.g. Mountain Equipment, Rab, The North Face). These are largely designed for mountaineering and provide the greatest warmth for weight of any clothing. Drawbacks are that they are not cheap and MUST be kept dry (at all costs). An alternative is a jacket insulated with man-made fibre like ‘Primaloft’. These are not generally as warm, but do not lose all their insulating properties if they get wet and are generally a bit cheaper to buy. A fleece-lined merino wool beanie is my choice (warm, but not itchy on the scalp), but basically whatever works for you. In really cold conditions add another hat and/or pull up your hood. Whatever you have been told about the huge percentage of your body heat lost through your head, it was wrong. This ‘fact’ was based on flawed research conducted by the US military in the 1950s. Essentially, if your core is warm, a lightweight hat may be sufficient, if it covers the ears and if the wind-chill is not too great. In very cold conditions wear a thin pair of gloves (e.g. wool or fleece) inside a thicker pair of mitts (e.g. fleece lined) with a water repellent outer. Take the mitts off to manipulate equipment, but leave the gloves on. Cold hands are painful to warm up again. Seal the gap at the neck. ‘Buffs’ are a very versatile tube of material than can be used as a scarf or hat or balaclava (warning, you may look a bit odd). ‘Polar’ buffs have a lower half composed of fleece and I often use one these. Wool-based socks are generally best. How thick depends on the footwear. Lightweight boots need lightweight socks, heavy boots, heavy socks. When working in caves I wear ‘wet socks’ (socks made out of wet suit material – usually 3 mm neoprene) underneath thick wool socks, because you know you will get wet feet. The wet socks trap a layer of water next to your feet which warms up. Normal socks allow water to circulate constantly meaning your body heat just flows away. May well be dictated by the terrain. 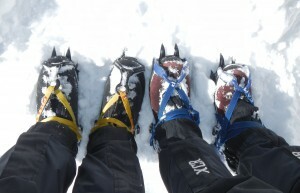 You might need walking boots or mountaineering boots capable of taking crampons (e.g. for glacier work). Gaiters seal the deal by keeping out water or snow. Wellies might be the ticket if you are working in wetlands or in excavations where water collects or when in caves (see above). If you lace up your boots up too tight you will reduce blood circulation and get cold feet. Crampon straps can have the same effect and these horrible metal spikes also conduct heat out of your boots as well. Right, now you know it, so get out there!